Explanation: To some, it looks like a giant chicken running across the sky. To others, it looks like a gaseous nebula where star formation takes place. Catalogued as IC 2944, the Running Chicken Nebula spans about 100 light years and lies about 6,000 light years away toward the constellation of the Centaur (Centaurus). The featured image, shown in scientifically assigned colours, was captured recently in an 11-hour exposure from a backyard near Melbourne, Australia. Two star clusters are visible: the Pearl Cluster seen on the far left, and Collinder 249 embedded in the nebula's glowing gas. 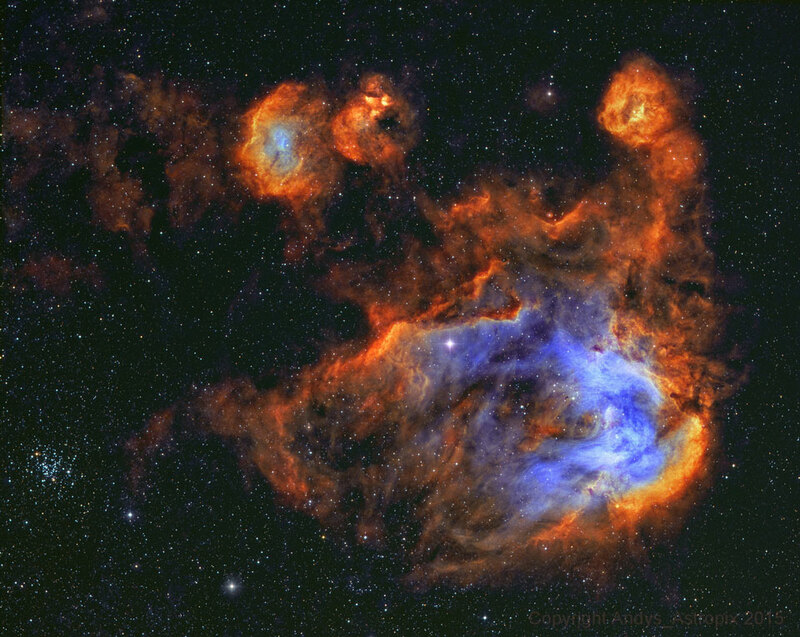 Although difficult to discern here, several dark molecular clouds with distinct shapes can be found inside the nebula.